Born in Çanakkale, Turkey in 1979, Serpil graduated from Mimar Sinan Fine Arts University, Neş’e Erdok Studio in 2008. 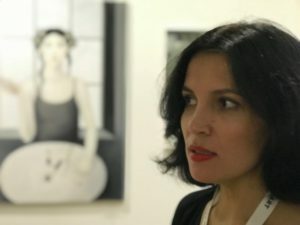 Her work has been exhibited and sold in Istanbul and across Europe since 2006. She has been living in London since April 2016. Serpil is questioning concepts such as imposed identity, goodness, beauty, freedom and virtue. Her works refer to some of the tale characters that have influenced us across the generations through our classical bedtime stories.